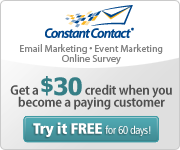 Posted by StrategicGrowth in mobile, Mobile Marketing. by Michael Chang is the founder and CEO of Greystripe, a mobile ad network. 2010 was finally the year of mobile advertising. The market has matured to the point where most major brands have embraced the medium, driven by the reach and interactivity of smartphones and their rapidly growing userbase. The mobile market is in a state of hyper growth and is reinventing itself almost every quarter thanks to new innovations, better data, and compelling results based on billions upon billions of ad impressions. As we look ahead to 2011, here are five new rules for brand advertisers as they consider how to integrate mobile marketing into their overall strategy. 1. Mobile display is a necessary component of every brand’s marketing strategy and will continue to outpace mobile search. Mobile search has received a lot of attention lately, with predictions from BIA’s Kelsey Group that it will grow to a $3.1 billion industry by 2013. Search is large and growing, but display advertising is growing at an even faster pace. In app ads alone are expected to reach $8 billion by 2015, according to Borrell Associates. Search ads have an important place in the mobile market, but they will never replace display ads. So don’t make a quick move by putting all your valuable advertising eggs into mobile search. 2. Don’t rely on Google and Apple to drive innovation. We know all about the two big hitters in the mobile advertising sphere: Google’s AdMob and Apple’s iAds. Google recently announced a forecasted $1 billion in annual revenue from its mobile ads. But just because these brand names are littered all over your favorite tech blogs doesn’t mean they are the only players. Google and Apple are big, but independents are flourishing – and they’re bringing unique tools and benefits to the landscape. Independents can focus on the needs of each marketer or brand, without being distracted by competing goals like handset sales and search revenue. Mobile advertising is about audience (reach, targeting, content) and engagement (format and creative), and the independents deliver both large audiences and proven, rich-media creatives across platforms. 3. Don’t underestimate the importance of the mobile Web. 4. Mobile Web ads need to be as engaging as in-app ads. When you think about ads on the mobile Web, you’re probably imagining boring, static banner ads. Apple’s iAds drew attention to the potential for immersive mobile advertising in app. Most mobile Web ads have remained blink-and-you’ll-miss-it boring. That is all changing – the same eye-popping immersive ads can be delivered to the mobile Web, to all smartphone users across platoforms. Advertisers and brands need to ensure that they’re engaging their audience everywhere, and that means creating exciting ads both in app and on the mobile Web. 5. New mobile ad companies must outpace consolidations for brand advertisers to reap maximum value from mobile advertising. There have been a number of high-profile consolidations among mobile ad networks: Apple bought Quattro Wireless, Google bought AdMob. Despite this trend, the market isn’t headed toward consolidation. In fact, nearly the opposite is true. A slew of new mobile advertising startups are taking off in areas that have yet to meaningfully make the way to mobile. Some will have models in the online world and address needs for better targeting, tracking and optimization. Others are mobile specific, centered on location, format and content discovery. There is no doubt that we will continue to see mergers and acquisitions – but the space is still in its infancy and brands will benefit from the variety of new innovators in order to maximize value.